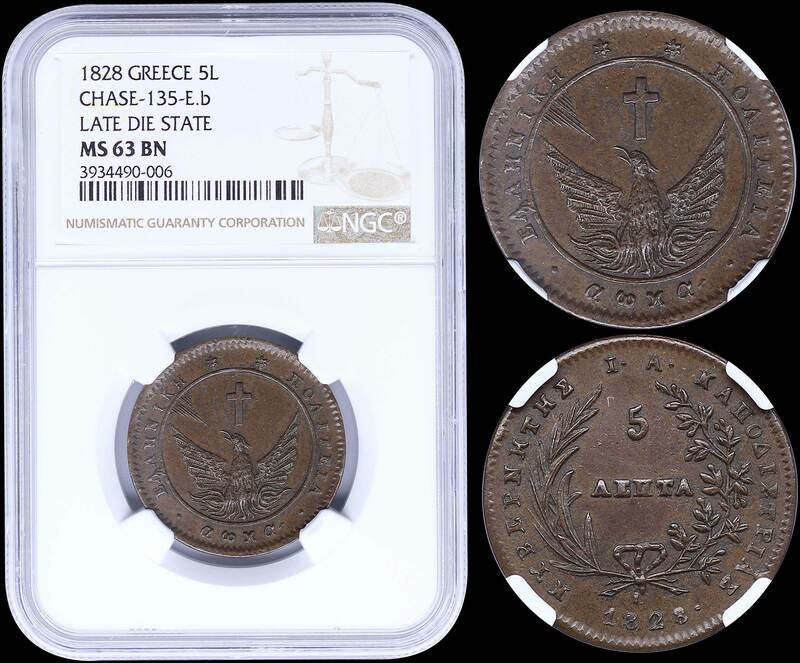 5 Lepta (1828) (type A.1) in copper with "Phoenix" with converging rays in solid circle. Variety "135-E.b - Late Die State" by Peter Chase. Inside slab by NGC "MS 63 BN". (Hellas 7).